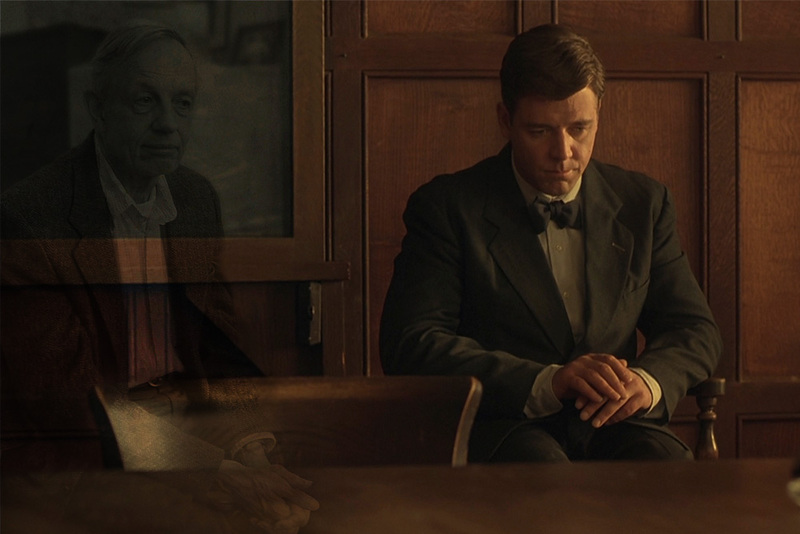 One of my all-time favorite films is A Beautiful Mind starring Russell Crowe as the great John Nash, the genius mathematician who died earlier this year in a car crash. John Nash won a Nobel Prize in 1994 for his revolutionary work on game theory. He also struggled throughout his life with delusions secondary to paranoid schizophrenia. However, with the support of his wife and colleagues, he was able to learn to live and function despite the vicious persistence of his underlying psychopathology. On average today, people have psychosis for one year and five months before being treated. This timeframe is six times longer than the World Health Organization guidelines for effective early onset intervention (less than three months). The film depicts John Nash’s gradual decline in functioning during his 20s, which is typically when first episodes of psychosis emerge. Psychosis literally means losing touch with reality, an incredibly scary experience for both the individual and his/her family. Symptoms may involve hearing voices or believing in things that are not real despite evidence to the contrary. Across the U.S. today, approximately 3.5 million people have been diagnosed with schizophrenia. To be diagnosed with schizophrenia, a person must have more than one psychotic episode, along with other symptoms, within a six-month period. It is one of the leading causes of disability. Although evidence-based approaches for care now exist, most people with schizophrenia still do not receive treatment. When they do, starting treatment is often delayed. On average today, people have psychosis for one year and five months before being treated. This timeframe is six times longer than the World Health Organization guidelines for effective early onset intervention (less than three months). Last month, The American Journal of Psychiatry (AJP) published a landmark study that showed not only the importance of early intervention in the treatment of schizophrenia, but also the importance of a team-based approach to care for first-episode psychosis. The upshot of the study is that if we get the timing right, as well as the approach, we can improve people’s lives in both a measureable and meaningful way. Early intervention approaches can be divided into two. The first is about identifying people at risk of psychotic disorders before they actually become seriously unwell. The second is about starting treatment early once someone becomes unwell. The first approach is difficult. Large-scale screening is not viable as it leads to too many false-positives. For this “preonset phase,” psychological and psychosocial interventions alone, or in combination, are more effective than just pharmacological interventions in reducing the transition to psychosis for high-risk individuals. Regarding the second approach, two meta-analyses have shown that reducing the time for people to receive treatment has an important effect on symptomatic and functional recovery. Several international studies have demonstrated the benefits of specialized programs for first-episode psychosis. The study included 404 individuals ages 15-40 who received at least two years of treatment. Apart from SEE, these treatments were all supported through existing funding mechanisms. Of note, these results were more pronounced for those with shorter duration of untreated psychosis suggesting that timing is everything. This study is now ongoing to ascertain how sustainable these findings will be. While a cure for schizophrenia continues to elude us, this landmark study shines a spotlight on the critical role that targeted early-onset and comprehensive specialty care programs can play in helping people with schizophrenia like John Nash, and their families, live their lives to the fullest potential. It also sets us a clear goal of reducing the current duration of untreated psychosis from more than one year to the recommended standard of less than three months. To realize that goal, the immediate call to action for all stakeholders is to collaborate on specific approaches for people with first-episode psychosis. It’s not just taking the meds that matters.